UR Series Universal Door Controllers provide a choice of individual dip switch selectable relay operating modes or system modes for lock control, monitoring, communicating door or lock system logic. Relay output modes may be individually configured as a Dry Contact or Voltage (Wet) Output. 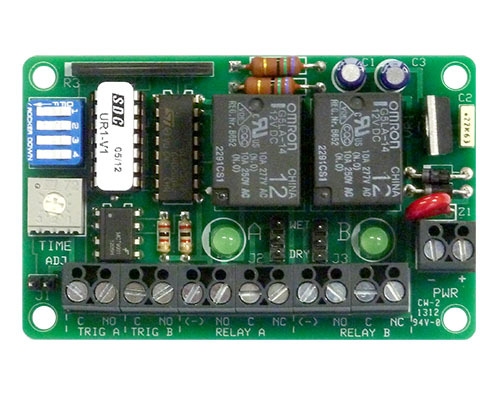 Relays may be configured to work independently or in tandem with adjacent relay.